Matt Sydal is backstage, and he's... Stretching! He and Austin Aries will team up in tonight's main event! Hey, remember when Scott was the clean-cut, tattoo-free Steiner? Drake starts off by whupping on Everett, who uses his speed to outmaneuver Drake and connect with a dropkick. DJ Z comes in for a series of double teams on Drake, but Steiner nails him from the apron and Drake hits a neckbreaker. Steiner comes in and unloads chops and forearms on DJ Z, then plants him in the mat with a belly to belly suplex for 2. Drake is in, catches DJ Z on a crossbody attempt, and rams him into the corner. Steiner comes in and gives DJ Z a top rope Samoan drop. DJ Z catches Steiner wqith a tornado DDT and makes the hot tag, and Everett comes in and cleans house on Drake. Everett with a springboard dropkick to Drake, a leaping enziguiri to Steiner, and a Pelle kick to Drake. Double dropkick to Steiner sends him to the apron, and a codebreaker/Code Red combo on Drake gets 2. Another double dropkick sends Steiner to the floor, but Drake trips Everett off the top rope as DJ Z baseball slides a chair carried by Steiner into his face. Steiner has the chair and accidentally hits Drake, allowing Everett to hit a standing shooting star press on Drake for the surprise win. Well, that was a surprising finish! Steiner is not happy, but checks on his partner who is still collecting himself. The new champions are backstage and can't believe they beat Scott Steiner, and DJ Z say they've overcome a lot, and here they arewith the belts. Petey Williams is ecstatic, and comes in with big hugs for both of them. Kiera's entrance music has kind of a Sonic Youth sound to it, not what I'd expect in 2018 but fine with me. Kiera wastes no time going after Tessa, beating her down in the corner, but getting ahead of herself and charging right into a hotshot. Tessa hits a hanging double arm DDT, then tells Kiera to get up while bumping her in the face with her boot. Kiera just fires up from that and unloads on Tessa with a flurry of offense. Kiera with a legdrop to the back for 2, brother. Tessa ducks under a clothesline and hits an Ace Crusher, and SHE'S DONE SCREWING AROUND. Tessa hits a double arm DDT for the win. Tessa was dominant here, good debut. Tessa attacks Kiera some more after the match, but Madison Rayne leaves the commentary booth and runs in to toss Tessa off of Kiera. Tessa shoots her mouth off at her, and Madison goes after her, but Tessa heads for the hills. We look back at last week when the Calling Card Attacker laid out Joseph Park, then we see a confrontation form earlier today when Grado (with Winter in tow) accuses Jimmy Jacobs and Kongo Kong of responsibility for the attack. Jacobs says it wasn't them, and Grado better watch himself unless he wants to wind up like Joseph Park. Winter doesn't like Jacobs talking to her boyfriend like that, and says he'll fight them anytime and anyplace. Jacobs says to consider it done, and Grado looks none too sure about all this as Winter gives him a big kiss. We see a video package looking at the history between Eddie Edwards and Sami Callihan leading into their streetfight from somewhere else TONIGHT. Pentagon Jr and El Hijo Del Phantasma are backstage, and they have ZERO FEAR AND PURE CHOCOLATE. I have no idea what that means, but they said it, so we'll go with it. Grado goes face to face with Kong...then casually walks away and hopes Kong doesn't follow him. They literally do laps before Kong takes a swing, which Grado ducks and responds with a series of jabs. Kong drops Grado with a hard uppercut, and Grado tries more shots, but Kong flattens him with a bodyblock, then a belly to belly suplex gets 2. Grado dodges a corner charge and lays in more right hands, to no effect. Shoulderblocks, and still no effect. Top rope shoulderblock...and KONG FINALLY GOES DOWN. He gets right up, though, and nearly kills Grado with a Michinoku driver, then comes off the top rope with the splash for the win. Fine for what it was. Winter comes in to check on Grado, but heads out to the floor when Kong and Jacobs turn their attention to her. She heads to the back, leaving Grado alone in the ring to take more of a beating from Kong, who rams him into the steps, then sets the steps up on the apron and rams Grado into them face first like he did to Johnny Impact...or at least that was the plan before Moose comes out to save the day! Moose hammers on Kong, sends Jacobs scurrying for cover, but gets distracted just long enough for Kong to nail Moose and send him into the ring. Moose fights back and clotheslines Kong to the floor, and Jacobs hustles him to the back. We go to the LAX clubhouse...actually, we don't, because apparently Ortiz and Santana are out of paper and tequila and walking around outside. Trevor Lee and Caleb Konley find them and start making remarks about Konnan being gone, but LAX shoves them out of the way and walks past, and Trevor Lee says they'll see them later. Eddie rushes Sami and batters him all around ringside. Sami turns it around and connects with a running punt from the apron. That only lasts until Eddie lays Sami out and hits a dive from inside the ring. Eddie with a water bottle to Sami's skull and tosses some chairs in the ring, but Callihan nails Eddie with a pipe and tries to gouge him with a steel spike until Eddie goes to the eyes. Sami catches Eddie with the spike and then gives him a death valley driver on the entry ramp. YEOWCH. Sami bashes Eddie with a BEWARE - WET FLOOR sign, and they wind up fighting on the apron where Eddie hits a DDT right on the edge of the ring. They each get steel pipes and have a sort of sword fight with them until Eddie connects, then knocks Sami into next week with a pipe shot to the skull. Eddie gets a kendo stick and uses it to batter the legs of Sami, who spits in Eddie's face and laughs at him, inviting another shot, then low blows Eddie when he moves in for it. Sami hits a Jay Driller onto the knee for 2, goes for another one, and Eddie blocks by low blowing him. He sets up a couple of chairs and goes for a suplex, but Sami counters to a falcon arrow suplex onto the chairs for 2. Eddie connects out of nowhere with the Boston Knee Party, and that's all she wrote. Really violent match, but Eddie's not done, and uses Sami's bat to choke him after the bell. Sami is turning purple as people run out to pull Eddie off of Sami, but Eddie fights them all off, taking just long enough to do so for security and officials to help Sami to the back. Tommy Dreamer comes out to calm the situation down as we go to commercial. Brian Cage's world tour continues with a match in Canada against Facade, who some of you may remember from the Urban Wrestling Federation. Match is clipped, and Cage wins with Weapon X.
Pentagon Jr and El Hijo Del Phantasma are backstage, and they're...WARMING UP! They'll be in the main event tonight! KM bumps into Fallah Bahh backstage and says he almost mistook him for Enrique Iglesias because he looks like he dropped 50-75 pounds in the last week. KM decides the next move should be a makeover, which involves KM washing his hair, applying blush, and...blowing his hair dryer down the front of Bahh's tights? We then see Bahh walking backstage and giving Kiera Hogan the eye. Time for the funeral of Rosemary, and we go to a graveyard where Su Yung's evil zombie bridesmaids drag the casket carrying Rosemary behind them. Su Yung presides over the festivities, dropping dry and rotted roses on the casket, and then ordering the evil bridesmaid brigade to drop the casket in the field. She hears voices in her head, and spews fire at the casket, setting it ablaze as ghostly music plays. Poor Rosemary, what a way to go. And with that, it's...MAIN EVENT TIME! Sydal and Phantasma start us off and go right to the mat. They do a quick flippy dippy lucha exchange, then Aries and Pentagon tag in to face off for the first time since the title change at Redemption. Quick back and forth exchange ends with Pentagon driving his boot into Aries' chest, he then tries to go for the armbar that popped Aries' arm out, but Aries escapes and goes to the floor as we go to commercial. We're back, and it's time for everyone to do a dive! Aries gets isolated in the ring, and plays heel-in-peril including a spot that I can only describe as the Dudleyz doing WHAZZZUUUUUUUUUPPP, except that Phantasma came off the top with a dropkick that attempted to enter Aries' digestive system from the wrong end. I'm sure Aries has a very healthy metabolic pathway due to his diet, but I'm pretty sure it's still not conducive to that kind of thing. Anyhow, Sydal tags in and gets an advantage on Phantasma with a sliding knee, then they do the old Aries/Strong "catapult into the roaring elbow followed by the slingshot twisting elbow" maneuver that really needed a shorter name. The former Generation Next teammates continue working Phantasma over, but he soon gets away and tags in Pentagon, who hits a slingblade on Aries for 2. 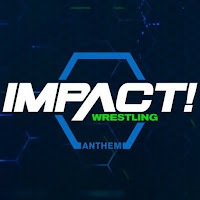 Sydal tags in and connects with Meteora on Phantasma for 2, Pentagon is in but aries knocks him to the floor and goes for the heat seeking missile, and Pentagon counters with a leaping enziguiri. Meanwhile, Sydal unloads with kicks to Phantasma, who just pops Sydal up in the air and connects with an Ace Crusher. Phantasma goes to the top rope, Sydal pops up and hits a leaping super Frankensteiner, then goes for the Sydal Press...and comes down right into a superkick from Pentagon Jr. Phantasma hoists Sydal up for his package Tombstone for the win. Good main event to close the show and set up the upcoming title matches each man will be involved in two weeks from now.